Description: Kilimanjaro Environnement is a Moroccan company specialised in the recycling of used oil, and its re-use as biofuel. The leader in its field in Morocco, Kilimanjaro collects used oil from more than 2500 locations (restaurants, hotels, snack bars etc.) across the country. The company has now gained International Sustainability and Carbon Certification (ISCC ), and has recently started exporting to Europe. The project’s needs: 40 million euros to launch a processing unit. Why do we love it: Replacing petrochemical diesel with biodegradable, nontoxic fuel produced from recycled cooking oils – Kilimanjaro Environnement is making significant headway in reducing CO² emissions in Morocco with its wide collection network! Can you summarize Kilimanjaro Environnement in one sentence? Kilimanjaro Environnement is a green business with high social, environmental and economic impacts. The company operates in the sector of the collection and recycling of used cooking-oils. Where did the idea for Kilimanjaro Environnement come from? 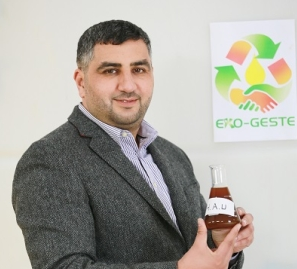 Youssef Chaqor – Kilimanjaro Environnement’s director – used to work in the cooking oil refinery sector. In this previous job, he was particularly aware of the spike in the prices of raw materials in 2008, which was severe enough to provoke demonstrations and uprisings in Egypt. Through his efforts to analyse and understand these price increases, he discovered a new line of biofuels which was latching onto existing markets for agricultural raw materials such as raw oils, sugar and wheat grains. By looking further into this subject he became aware of the ethical and environmental issues linked to this sector. How do you see Kilimanjaro Environnement’s future? Kilimanjaro Environnement is currently working on an ambitious development plan, aimed at increasing our level of engagement with cafés, hotels and restaurants, and at widening our base in order to double our annual collection potential. In parallel and thanks to our successful launch in Algeria in 2013, we are also working on a regional expansion plan via the implantation of our company in other neighboring countries. In addition, in 2014 we launched the pilot phase of a household collection project, with the aim of introducing Moroccan households to good habits in terms of sorting and recycling their waste. For the coming months we are preparing the expansion of this project in another zone in order to expand our outreach, which currently stands at more than 50,000 households. Finally Kilimanjaro Environnement is also preparing for an increase in its capacity to transform used cooking oils into biofuel for 2016, to meet its objective of 10,000 tonnes per year. Much has been accomplished since the creation of Kilimanjaro Environnement in 2008. The company, which specialises in the collection and recycling of used cooking oil (UCO), aims to process as much as 10 metric tons by Q1 2016 (compared to 1.5 tons today). This increase in capacity of its unit in Casablanca, which has been in operation for three years, has also doubled its workforce (to reach 150 employees over the same time period). The Kilimanjaro Environnement network, headquartered in Casablanca, already has 2,500 collection points and 8 regional offices in a number of cities (Rabat, Marrakech, Fez, Agadir, Tangier, Oujda, etc.). Its agents crisscross the country to collect used cooking oil from catering professionals, local authorities and food manufacturers. The oils are then transported to a regional storage centre and transferred to the recovery unit, to be integrated into the processing line and turned into biodiesel. But the company, which mainly targets CHRs (cafés, hotels and restaurants) and counts McDonald’s, Burger King, KFC, la Grillardière, Newrest, Accor, Afriquia and Total among its clients, also wants to tackle households. « A pilot operation is now being conducted in three cities: Casablanca, Khouribga and Ben Guerir » states Sheryn Ziani, Marketing and Key Accounts Manager at Kilimanjaro Environnement. With a monthly average consumption of 7 litres of oil, households represent a significant market in a metropolis like Casablanca. Maarif, 2 Mars and Sidi Maarouf are the three Casablancan neighbourhoods that are being targeted initially (55,000 households), before the operation is extended. As well as going door to door, awareness campaigns are also carried out in the streets, schools, etc. The message is clear: the recovery of used oil not only reduces its negative effects on the environment, but also protects users’ health. Sheryn Ziani notes that a proportion of the waste oil is fed back into the informal circuit and ends up in pubs or snack bars that are unconcerned about the risks to the consumer. « If it becomes mainstream across Morocco, this project will create 2,000 job positions over 5 years, with a fixed monthly income of between 3500 and 6500 dirhams (the equivalent of 330 to 630 euros) » proclaims Ziani. Young entrepreneurs will be encouraged to start their own project as part of a self-entrepreneurship system. For its part, Kilimanjaro will provide monitoring, training or even logistics. But the company is thinking bigger. It has just signed a partnership agreement with the Moroccan Ministry of Environment to roll out the used cooking oils and fats recovery chain nationwide. Negotiations are also underway with the city of Casablanca to conclude a public-private partnership (PPP), which “will contribute to structure and develop the sector, the collection, the creation of employment, while reducing CO2 emissions » points out the marketing manager. Eventually, the PPP could result in an annual reduction in CO2 emissions of 280,000 tons, or 1% of the target expressed in the commitments made by Morocco as part of the COP 21. Other advantages include: preventing the pollution of groundwater and the clogging of sewerage networks within the city. The establishment of a processing unit (capable of processing the used cooking oil waste for the entire area of Greater Casablanca) will require an investment of about 440 million dirhams (40 million euros). As for the export potential, this amounts to more than 1 billion dirhams (110 million euros). In addition to creating thousands of jobs, the partnership is expected to have a significant economic impact. The company, which exports most of its production to Europe, hopes to sell a large share on the local market. Youssef Chaqor, founder and CEO of Kilimanjaro, also dreams of running the buses of Casablanca on biofuel. And the environmental benefits of such fuels are well established. Indeed, 2nd generation Biodiesel is a biodegradable, nontoxic, fuel produced from renewable resources such as recycled used cooking oils or animal fat, which do not contain any petroleum products. It can be used to replace petrochemical diesel as an alternative fuel, or be mixed with diesel in concentrations ranging from 2% to 10% without changing the engine block. According to Kilimanjaro’s managers, the trade must be regulated, but legislation should also be introduced to ban the dumping of highly polluting waste oils in drains. This traceability of the oil recovery circuit will combat fraud (including resale for food preparation). Bien du chemin a été parcouru depuis la création de Kilimanjaro Environnement en 2008. 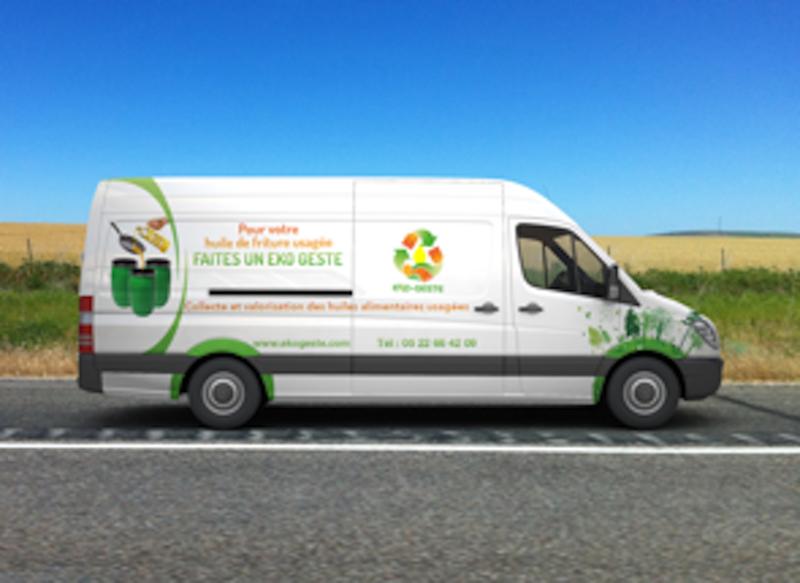 L’entreprise, spécialisée dans la collecte et la valorisation des huiles alimentaires usagées (HAU), ambitionne de traiter pas moins de 10 tonnes d’ici le 1er trimestre 2016 (contre 1,5 tonne aujourd’hui). Cette augmentation de la capacité de son unité basée à Casablanca, opérationnelle depuis 3 ans, passe aussi par le doublement de ses effectifs (pour atteindre 150 salariés à la même échéance). Le réseau de Kilimanjaro Environnement, dont le siège est à Casablanca, compte d’ores et déjà 2.500 points de collecte, ainsi que 8 bureaux régionaux dans plusieurs villes (Rabat, Marrakech, Fès, Agadir, Tanger, Oujda …). Ses agents sillonnent le pays pour collecter les huiles alimentaires usagées (qui seront valorisées en biocarburant) auprès des professionnels de la restauration, des collectivités locales et des industriels de l’agroalimentaire. Les huiles sont ensuite acheminées vers un centre de stockage régional puis transférées à l’unité de valorisation, pour intégrer la ligne de traitement et être valorisées en biodiesel. Mais l’entreprise qui cible essentiellement les CHR (cafés, hôtels restaurants) et compte parmi sa clientèle McDonald, Burger King, KFC, la Grillardière, Newrest, Accor, Afriquia, Total … veut aussi s’attaquer aux foyers. «Une opération pilote est aujourd’hui menée dans 3 villes: Casablanca, Khouribga et Ben Guerir», assure Sheryn Ziani, responsable marketing et Grands Comptes auprès de Kilimanjaro Environnement. Avec une moyenne mensuelle de 7 litres d’huile, les foyers recèlent un marché non négligeable dans une métropole comme Casablanca. Maârif, 2 Mars et Sidi Maârouf sont les 3 quartiers casablancais ciblés dans un premier temps (55.000 foyers), avant de généraliser l’opération. Outre le porte à porte, des campagnes de sensibilisation sont menées aussi dans les rues, les écoles… Le message se veut clair: la récupération des huiles usagées permet non seulement de réduire leurs effets néfastes sur l’environnement, mais aussi de préserver la santé des usagers. Sheryn Ziani rappelle qu’une part des huiles usagées est réinjectée dans le circuit informel pour finir dans des gargotes ou des snacks peu soucieux des risques encourus pour le consommateur. Mais l’entreprise vise plus gros. Elle vient de signer une convention de partenariat avec le ministère de l’Environnement pour la mise en place de la filière de valorisation des huiles alimentaires usagées et corps gras au niveau national. Des négociations sont également en cours avec la ville de Casablanca afin de conclure un partenariat public-privé (PPP) qui «devra contribuer à structurer et développer la filière, la collecte, la création de l’emploi, tout en réduisant les émission de CO2…», souligne la responsable marketing. A terme, ce PPP pourrait se traduire par une réduction des émissions de CO2 de 280.000 tonnes par an, soit 1% de l’objectif exprimé dans le cadre des engagements pris par le Maroc pour la Cop 21. Autres avantages : éviter la pollution de la nappe phréatique et l’engorgement des réseaux d’assainissement de la ville. La mise en place d’une unité de transformation (capable de traiter les rejets en huiles alimentaires usagées sur l’ensemble du territoire du Grand-Casablanca) nécessitera un investissement de l’ordre de 440 millions de DH (40 millions d’euros). Quant au potentiel à l’exportation, il est de plus de 1 milliard de DH (110 millions d’euros). Outre la création de milliers d’emploi, ce partenariat est censé avoir un impact économique non négligeable. L’entreprise, qui exporte l’essentiel de sa production vers l’Europe, espère ainsi écouler une bonne partie sur le marché local. Youssef Chaqor, fondateur et directeur général de Kilimanjaro rêve d’ailleurs de faire rouler les bus Casablancais avec du biocarburant. Et les bienfaits écologiques de ces carburants ne sont plus à démontrer. 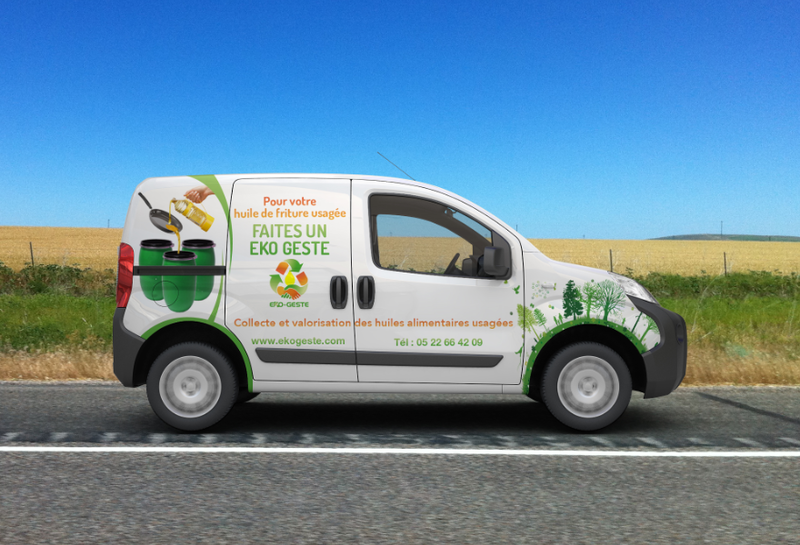 En effet, le biodiesel 2e génération est un carburant biodégradable, non toxique, produit à partir de ressources renouvelables comme les huiles de fritures usagées recyclées, ou gras animal qui ne contient aucun produit pétrolier. Il peut servir à remplacer le pétro-diesel comme carburant de alternatif, ou bien mélangé avec des concentrations allant de 2% à 10% sans rien changer au bloc moteur. Pour le management de Kilimanjaro, le métier doit être réglementé, mais il faudra aussi instaurer une loi interdisant le déversement des huiles usagées, hautement polluantes, dans les égouts. Cette traçabilité du circuit de récupération des huiles permettra de lutter contre la fraude (notamment la revente à des fins alimentaires).